Hollywood Style White Glow Papaya Mud Mask is a professional spa and salon formula that contains papaya, honey and oatmeal. 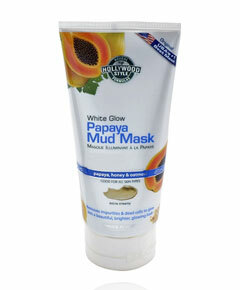 This extra creamy mud mask is good for all skin types. Removes impurities and dead cells to give skin a beautiful, brighter, glowing look.